Dr. Anthony G. Crocco is a Pediatric Emergency Physician and is the Medical Director & Division Head of the Division of Pediatric Emergency at McMaster’s Children’s Hospital. He is an Associate Professor at McMaster University. 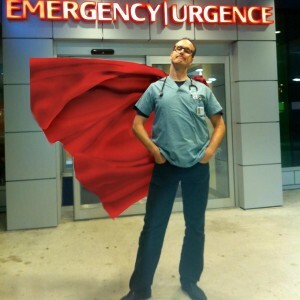 Anthony is interested in teaching Pediatric Emergency topics as well as teaching EBM concepts. He has been involved with international medical education through BEEM as well as DevelopingEM. Anthony is known for his online RANThonys and is currently developing a novel website to teach EBM material at SketchyEBM.